In 2012 there will be a new mascot stomping around the Frontier Baseball League, and his name is not Jack the Ripper, despite the overwhelming evidence on the contrary. Yesterday Dave Martin, the team president and general manager of the newly announced London Rippers, unveiled the team’s name and logo. The protests immediately began pouring in. I only kind of look like Jack the Ripper. 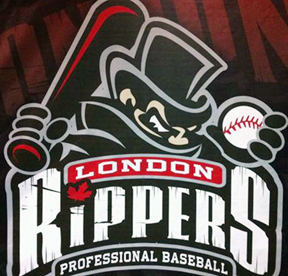 But here’s the thing dummies, even though the team name is the Rippers and the mascot looks exactly like a cartoon version of Jack the Ripper it’s actually not. “Ripping a ball is used in baseball all the time,” Dave Martin told the London Free Press in an effort to explain the team’s name. But what about the mascot Dave??? The mascot’s name is Jack, but as in Diamond Jack, not Jack the Ripper. Apparently, Diamond is a “frustrated hockey player who found he could “rip” the cover off baseballs. Despite his talent, teams grew weary of the expense of replacing balls so Diamond Jack decided to form his own team in London, Ontario.” Or, baseball’s creepy version of Happy Gilmore. Fist bump to Greg for the investigative reporting. We hoped you liked reading Diamond Jack – An Introduction by Cody Wiewandt! There really is nothing more fun or Canadian about not not alluding to a serial killer and mutilator of prostitutes from London.